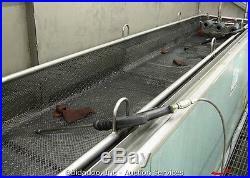 Proceco Stainless Steel Aqueous Cleaner Parts Washer Model: TF 30x30x180-S-500-3-HBO-SS. 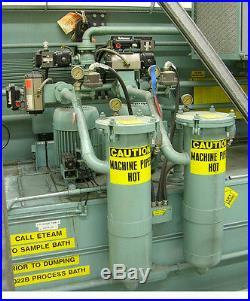 This machine is VERY CLEAN has been maintained at the highest levels and can be inspected upon request. 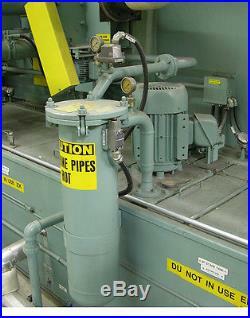 It is complete with the Proceco Tube Flushing triple nozzle and controls to clean the outside and inside tubes & pipes. 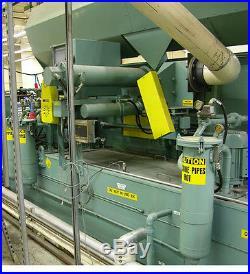 This machine was specially designed and fabricated for Boeing. This unit sequence is in 3-stages. First Stage: wash interval, blow off #1; Second Stage: wash interval, blow off #; Third Stage: wash interval, blow off #3. The unit has three drop-in electric immersion heaters each with a disconnect or the machine can be heated with plant steam. 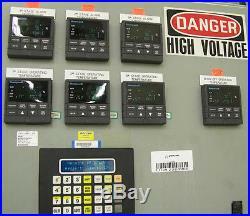 Power: 460V - 39A - 60Hz - 3 PH. Tank Capacity: 700/700/570 gallons (3 tanks). 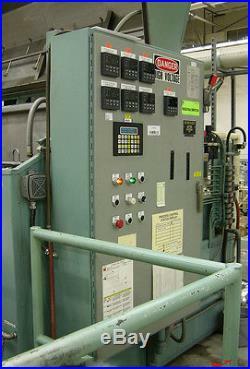 Three Process Technology Titanium Drop-in electric immersion heaters 36 kW each. 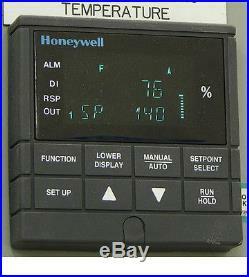 Steam Supply: 90-125 psi (can be heated with steam or electric heaters listed above). Air Supply: 80 psi min. 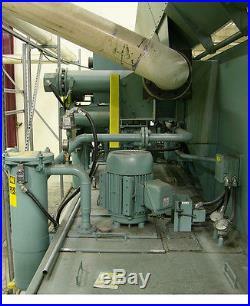 Pumps (3x): 10 HP, 175 gpm. ACCUSET (Beta Technology) C-7000 Digital Connectivity Controllers (2x). Overall (w/o platform): L 224" x D 64" x H 90 (lid closed). Overall (w/platform): L 254" x D 104" x H 90 (lid closed). Platform Only: L 254" x D 40" x H (to top rail) 60. Machine Weight: 15,000 lbs. The washer can be seen running. If you would like to make an appointment contact me. 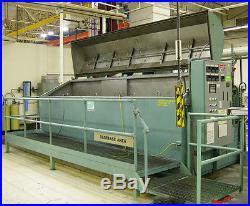 The item "Proceco Aqueous Parts Washer Model TF 30x30x180-S-500-3-HBO-SS" is in sale since Wednesday, January 21, 2015. 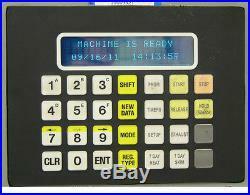 This item is in the category "Business & Industrial\Manufacturing & Metalworking\Other Mfg & Metalworking". 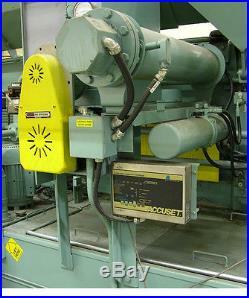 The seller is "iicusa" and is located in Monroe, Michigan. This item can't be shipped, the buyer must pick up the item.